For a lot of people, there’s no greater joy in life than being a parent. Parenthood can be both wonderful and overwhelming, especially for the first time. One of the most important jobs as a parent is to pick the right products for your baby. 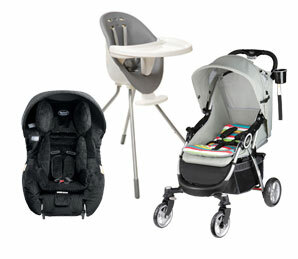 Safety and security should be the top priority when choosing items for your baby. Ensuring a product’s quality requires a lot of research on your end and the key is to ask the right questions, like what the item is made of, or if it’s made of hazardous materials. Do not be lured only by attractive design, pretty colors or extensive marketing by the manufacturing companies. Parents are also advised to research on the manufacturing companies, their reputations and the ingredients they used in their baby products. Nowadays, moms take on the world while caring for their precious ones. So naturally, time is of the essence. Consider if a product is readily available or if you have to comb through endless stores looking for it? The good news is, with the advances in technology we’re experiencing, shopping is now as easy as clicking “Add to Cart”. To save time (and money), browse your favorite brand’s website, but make sure they are trustworthy! Peruse brands like Mother’s Choice (a well-loved Aussie company celebrating its 40th anniversary) for more options for your baby. It is likely that you’ll be using products for a long time (or until they are grown out of! ), so it’s better to invest in something that your child is comfortable using. If you can, try to test the product in-store before you buy to see if a product is right for your little one. If you’re buying online, take note of measurements and sizing guides. When choosing for your baby, quality is everything. But it doesn’t mean it should burn a hole in your pocket. Your baby’s gear can be both high quality and affordable. You just have to know where to look for them. Browse through mommy forums to see what brands most moms love. One question you should ask when buying for your child: Does this brand care? A lot of baby brands out there are just out to get your money. Caring for families means they put their heart and soul into making quality products to serve your baby best. Make sure that you patronize brands with a soul by doing your research first before buying anything. These are all great tips to take into consideration. Safety and security is very important aspect. I love all of these tips. I personally don’t take into consideration a business ethics, but you are right it is something we need to consider. Especially since we are trusting them to provide products that will take care of our little ones. My biggest concern would be the safety and security, of course, but all of these are things that ought to be considered. for me choosing the right stroller was the hardest, they all fold down in different ways, it just got so overwhelming, I almost wanted someone anyone to just pick it for me. There are so many choices out there now it is a hard decision for sure! And there are so many factors to consider. Safety, cost, practibility. These are all great things to consider when picking an item for a baby. There are so many choices available. I usse all of these and look at reviews. I know price tag is looked at a lot when picking out baby items, but to keep baby safe, parents need to spend a little bit more on these items and make sure that they are sturdy and safe. I made sure to get a really good car seat!